The success rate of recognition procedures in Germany differs depending on the region where the foreign professional qualification was obtained. It tends to be higher in the regions geographically and culturally close to Germany. The success rate of recognition procedures in Germany differs depending on the region where the foreign professional qualification was obtained. It tends to be higher in the regions geographically and culturally close to Germany. In particular, the share of cases where full equivalence was established ranges from 85% of qualifications obtained in the EU member states to 47% of qualifications obtained in West Africa. However, this rule does not apply to the candidates for EU membership, whose success rate stands at less than 60%. © The Federal Statistic Office; own calculations. 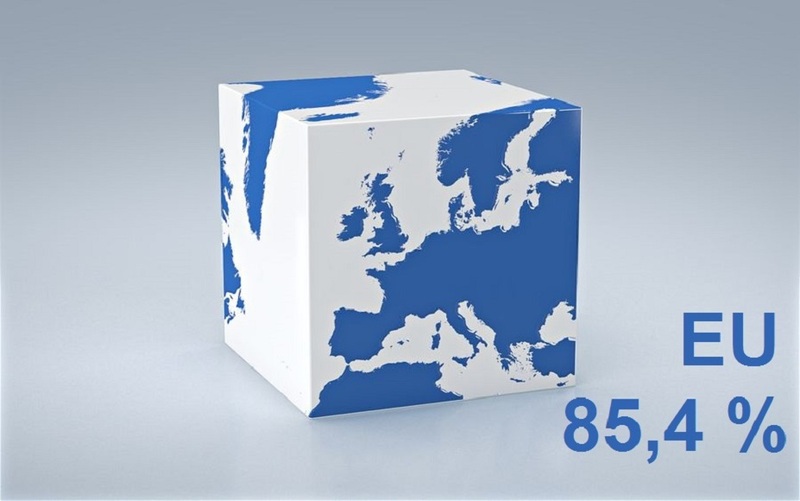 The vast majority of applicants obtained a professional qualification in the European Union or in other European states. Other European states include in particular the successor states of the Soviet Union and Yugoslavia, as long as not counted under EU member states and candidates for EU membership. Few applications were submitted by migrants from the African regions. North Africa is the only African region from where more than 50 applications were filed.